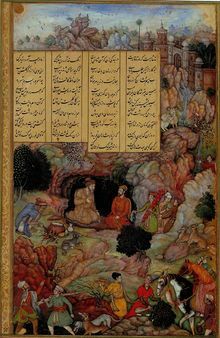 The Mughal Empire (Persian: گورکانیان‎, translit. 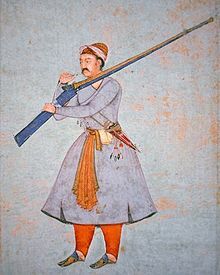 Gūrkāniyān; Urdu: مغلیہ سلطنت‎, translit. 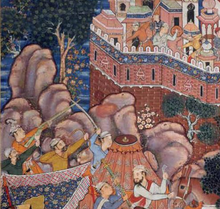 Mughliyah Saltanat) or Mogul Empire was an empire in the Indian subcontinent, founded in 1526. 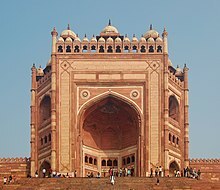 It was established and ruled by the Timurid dynasty, with Turco-Mongol Chagatai roots from Central Asia, claiming direct descent from both Genghis Khan (through his son Chagatai Khan) and Timur, and with significant Indian Rajput and Persian ancestry through marriage alliances; the first two Mughal emperors had both parents of Central Asian ancestry, while successive emperors were of predominantly Persian and Rajput ancestry. 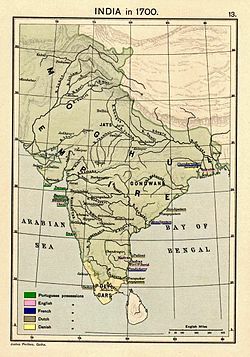 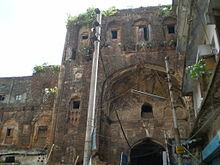 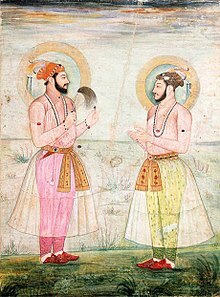 The dynasty was Indo-Persian in culture, combining Persianate culture with local Indian cultural influences visible in its court culture and administrative customs.